« The Light That Shines! A few weeks ago, I had the distinct pleasure of photographing my friend’s beautiful newborn daughter. As every newborn photographer knows, the best laid plans last until the baby arrives. With the exception of perhaps five minutes in the middle of the session, this wide awake baby girl wasn’t going to persuaded to sleep. The world is too interesting and she didn’t want to miss a moment. 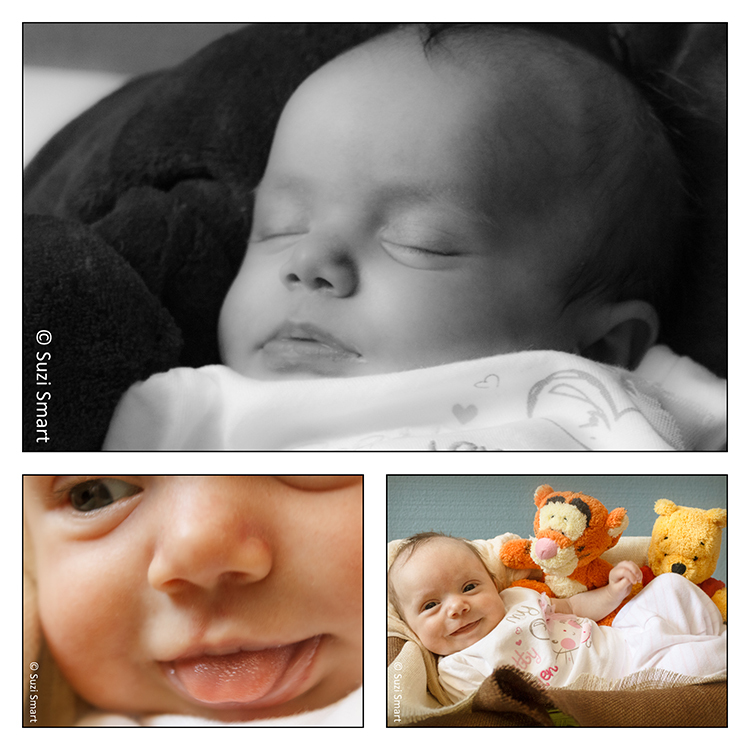 She was a few weeks old and full of smiles and giggles for the camera – already finding her personality. It’s been a long time in coming but I’m finally ready. At the beginning of the new year, I decided to expand my photography business into fine art portraits. It’s a whole new world of expectant mothers, newborns, babies and families. It’s been a long road with many challenges but I’ve rebranded my business, built my portfolio and created a new website – including integrating my blog. This means more changes to come. Soon I’ll be deleting my WordPress.com page and concentrating my blog on my website. I’d love for you to join me over at suzismart.com – you can easily subscribe to my updated blog at the bottom of the page or when commenting on a story. I hope that you’ll join me on my journey into this exciting new world.